Abstract: The truth is that some doctors inflict a lot of harm today. The entire notion of “do no harm” has been corrupted; we’ve moved to an extreme place in medicine that’s rarely data-driven and is horrendously overrun by false or unproven claims. And that’s scary. 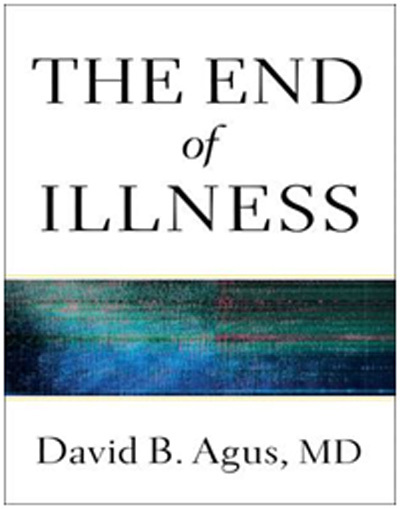 The Author: Dr David B. Agus, MD, is a professor of medicine and engineering at the University of Southern California Keck School of Medicine and Viterbi School of Engineering and heads USC’s Westside Cancer Centre and the Centre for Applied Molecular Medicine. He is the co-founder of two pioneering personalized medicine companies, Navigencies and Applied Proteomics. Dr. Agus is an international leader in cancer care and new technologies and approaches for personalized health care and chairs the Global Agenda Council on Genetics for the World Economic Forum. Introduction: When Dr Agus decided to pursue a career in oncology, many of his mentors questioned his choice. Why, they asked, would a promising young doctor want to enter a field known for its inescapably grim outcomes? Although, it was precisely the lack of progress that inspired Dr Agus to join the war on cancer, he moved away from the modern methods of the medical establishment, which aim to reduce our afflictions to a single point. Why did he do so? a) Cancer treatment is the place where we take the most risks in medicine because, frankly, there’s little hope for survival in many cases, and the cure is as evasive today as it ever was (page 1 ). b) I (Dr Agus) am infuriated by the statistics, disappointed in the progress that the medical profession has made, and exasperated by the backward thinking that science continues to espouse, which no doubt cripples our hunt for that magic bullet (page 2 ). c) I (Dr Agus) am a realist, and the facts of cancer and many other life-threatening diseases are unnerving. In an age when we can communicate in seconds with people around the world using slick devices we tote in our pockets, it’s a shame that the technology and innovation in medical research and treatment are so archaic, out-dated, and, dare I say, in some cases barbaric (page 3). d) Rather than honouring the body as the exceedingly complex systems that it is, we keep looking for the individual gene that has gone awry or for the one “secret” that can improve our health. This kind of short-sightedness had led us far astray (page 4). e) The truth is that some doctors inflict a lot of harm today. The entire notion of “do no harm” has been corrupted; we’ve moved to an extreme place in medicine that’s rarely data-driven and is horrendously overrun by false or unproven claims. And that’s scary (pages 4-5). f) When we reduce science down to the goal of finding the tiniest improvements in treatment rather than genuine break-throughs, we lose sight of the bigger picture and find ourselves lost (page 6). h) I am an oncologist who cannot treat advanced cancer well. Medical science has made extraordinary progress over the past century, but in my field, the progress stalled out decades ago (page 6). j) We are making enormous progress against other chronic diseases, but little against cancer (page 25). k) With the more common deadly cancers, including those that ravage the lung, colon, breast, prostate and brain we’ve had an embarrassingly small impact on death rates (page 25). l) The lack of change in the death rate from cancer is truly alarming (page 26 ). m) When cancer is exposed to chemotherapy, drug-resistant mutants can escape. In other words, just as resistant strains of bacteria can result from antibiotic use, anticancer drugs can produce resistant cancer cells (page 37). n) The number of mutations shoots up exponentially as a cancer patient is treated with drugs such as chemotherapy, which inherently causes more mutations (page 39). o) When chemotherapy drugs bind to DNA, they can cause cancer just as radiation can cause cancer by mutating the genome. This helps explain why survivors of breast cancer, for instance, can suffer from leukaemia later in life due to the chemotherapy they received to cure their breast cancer (page 39 ). p) It’s human nature to want to find magic bullets in medicine, but they happen once in a blue moon, and we may already have had all of our blue-moon moments. We haven’t found many new pills lately that really cure diseases. This is why the pharmaceutical industry is somewhat broken right now; it has run out of low-hanging fruit, a magical chemical that cures a disease. I don’t think we’re likely to find a lot more of those; it seems like a waste of time, money, and resources to keep looking for these magic bullets. We need a different approach -a new model (page 41-42). q) Right now, when doctors test a drug, they are looking at one variable over a discrete period of time. They only discover potentially bad side effects in retrospective studies – looking back after people have been taking the drug for a long time, or by pooling several studies together (page 47). r) There’s a lot of trial and error in my business. We don’t have the technology yet to precisely predict what medicine you’ll respond to or which one will work best (page 64). s) Despite chemotherapy’s being a widely used treatment for cancer, nobody has even shown that most chemotherapy actually touches a cancer cell. It’s never been proven (page 86). Second, it’s hard to compare human tumors with those in other animals. Human tumors tend to be unique, and when we try to replicate a human tumor in another animal we cannot achieve the exact same characteristics to study and manipulate (page 94). which means that those women will show a 50% shrinkage in their tumour,,,,but the cancer will then come back… i.e. the cancer “recurs” and the patient “relapses” (page 92). explain how things work (page 89). b) Doctors, (Dr Agus) included, don’t actually know how these drugs kill cancer cells at all (page 89). d) We already have all the drugs we need to treat the vast majority of diseases….we just don’t know how to use this library of drugs (method), how much to use (dosage), and when (schedule). 1) THE COMPASSIONATE ONCOLOGIST by Dr James W. Forsythe, MD, HMD…..read what cancer specialists don’t want you to know. 3) NATURAL STRATEGIES FOR CANCER PATIENTS by Dr Russell Blaylock, MD…..Chapter 3 is entitled Chemotherapy: Poisoning Cancer (and You). 6) GETTING IT RIGHT(a book of quotations from established medical journals and renowned medical experts by Dr Chris Teo). 9) ARTICLE: WHY 75% OF DOCTORS WOULD REFUSE CHEMOTHERAPY (just go to the Internet –Google or Yahoo and type in the above title and you will find a lot to read which your oncologist will never tell you). 10) ARTICLE: HOW MODERN MEDICINE KILLED MY BROTHER by Dr Russell Blaylock, MD, author of Natural Strategies for Cancer Patients. Just Google the title or Dr Russell Blaylock to read the article. 11) WHAT DOCTORS DON’T TELL YOU by Dr Lynne McTaggart (read about the truth of the dangers of modern medicine. Chemotherapy is cited in pages 223 to 229). 2) DEATH BY PRESCRIPTION by Dr Ray Strand, MD, (the shocking truth behind an overmedicated nation). 3) THE POLITICS OF CANCER REVISITED by Dr Samuel S. Epstein, MD (in this book, Dr Epstein indicts the NCI, US and the American Cancer Society for responsibility in losing the cancer war). 4) THE CANCER INDUSTRY by Dr Ralph Moss, PhD (The classic expose of the Cancer Establishment –read chapter 5 CHEMOTHERAPY). 5) CANCER AND NATURAL MEDICINE by Dr John Boik, PhD (read Chapter 9 – The Treatment of Cancer by Conventional Medicine). 6) THE HEALING OF CANCER – The cures and the cover-ups by Barry Lynes. 7) QUESTIONING CHEMOTHERAPY—by Dr Ralph Moss, PhD….Dr Moss was formerly a director in the prestigious Memorial Sloan-Kettering Cancer Centre, USA. He was sacked after he published a scientific study (conducted by researchers in the Cancer centre itself) that an alternative treatment method is effective……..